Motorparks stocks Punto cars at truly astonishing prices. The Fiat Punto is a wonderful car to look at, with its sharp lines and colourful paint jobs giving off an entertaining and fun-loving vibe. Driving the new Fiat Punto is just as enjoyable, with start&stop technology there to help you save costs when getting from A to B and a leather interior making for a very plush cabin. Find your perfect new Fiat Punto from the huge range below – we have three-door and five-door models available - and make an enquiry online without delay. Remember that we also offer used Fiat Punto cars too, which are worth a look before you seal a deal on your next set of wheels. 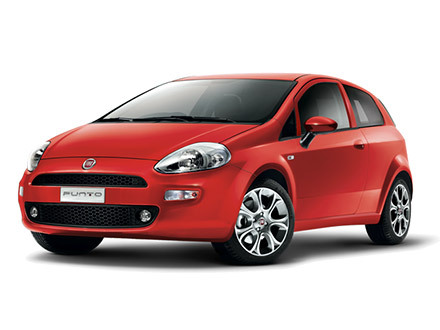 Request a test drive of any of our new Fiat Punto cars online today. It’s your choice whether you want the drive to commence from our Bolton Motor Park, Preston Motor Park or Oldham Motors dealerships.